Love the way they look and they really are blackout curtains. Wish I had hung them on curved rods to keep all the light out on the sides. Also, could not iron out the wrinkles on the suggested low heat setting. Will have to steam. Control the light in your space with this Trevi blackout curtain from Eclipse featuring a grommet heading for easy hanging. 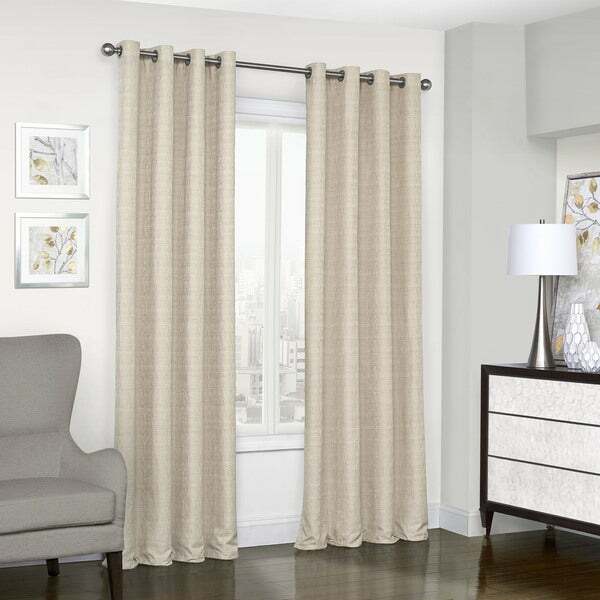 This curtain also helps conserve energy by blocking cold air in the winter and warm air in the summer. Dimensions 95.0 In. X 52.0 In. I am so pleased with these curtains. The quality is nice and the fabric hangs nicely. 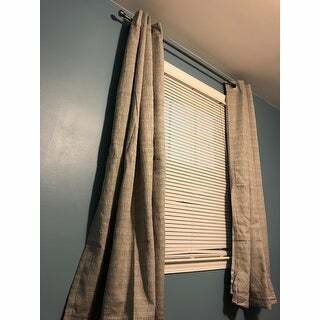 I have purchased blackout curtains before and they turn out not so blackout. These are perfect for what I needed. Product was just as advertised. Quality curtain! Love, love, LOVE these curtains! The pattern is simple yet elegant. The gray color is perfect; it’s bright yet calming. I’m buying more for another room! They block out the light well too. Well made, great material, heavy duty, quality craftsmanship. Completely blocks out the light and is the perfect finishing touch for my room. I like the texture they bring to the room. Color as expected. Light ironing before hanging. Did not expect or need full blackout and find these panels do a good job of greatly reducing the light. Good value. No negatives. Great product great price. I would purchase again. "What color is the liner? I am looking for white lined curtains." This has a white liner. "Can you please tell me what the width is of each panel! I am interested in the 84 Length. Than k you!"